Happy Valentines Day all! I never take this holiday too seriously, but I suppose it’s never bad to be reminded that you should spend time or be extra appreciative of your loved one.. With that said, I wanted to post a few thoughts on love. Being that I am an unlikely statistic (married at 18 and still going 6 years later), I wanted to share my take on how to make things work in relationships. The number one reason for divorce is financial disagreement. Money cannot buy love or a good marriage for that matter. The ingredients of a good marriage include communication, trust and love. Obtain all of these things with a person and it will result in a good relationship or marriage. Most everyone will testify that communication is the key to a successful relationship. Yet most of these people will throw that idea out the window when a real argument sets in. When relationships grow into marriage, the ‘serious factor’ begins to weigh down. Spouses tend to get tired of each other because it becomes more routine than desire. Not speaking to one another can cause couples’ petty arguments to escalate to an all out fight. These problems can be avoided early on by keeping the lines of communication open. Trust is usually a characteristic that is earned, or even expected over a length of time. At a stage as serious as marriage, you might assume that trust is a given factor. However, some people still have trouble trusting their spouses, even after they’ve said their vows. This is not a sign of a good marriage. Trust is something that should be established in the dating stage. Marriage should only confirm trust, not test it. If a person is not trusting their spouse, it is probably because they themselves are not trustworthy. Positive thoughts and actions attract the like, and so it goes for negative. If someone is trusting, they are more likely to have a trusting spouse. This is a great starting point for building trust together, instead of just within themselves. Love is a worn out term that is tossed around to describe many things. In a good marriage, it entails understanding, selflessness, reasoning skills, patience and faith. A spouse is more than just a husband or a wife, they are a best friend. A special bond must be formed between two people that goes way beyond the gushy stuff. To connect with a person on a higher level of intellect, to understand their faults, to be able to reason with them, to have patience and faith, is love. It is such a complex term that is unable to be rightly defined. 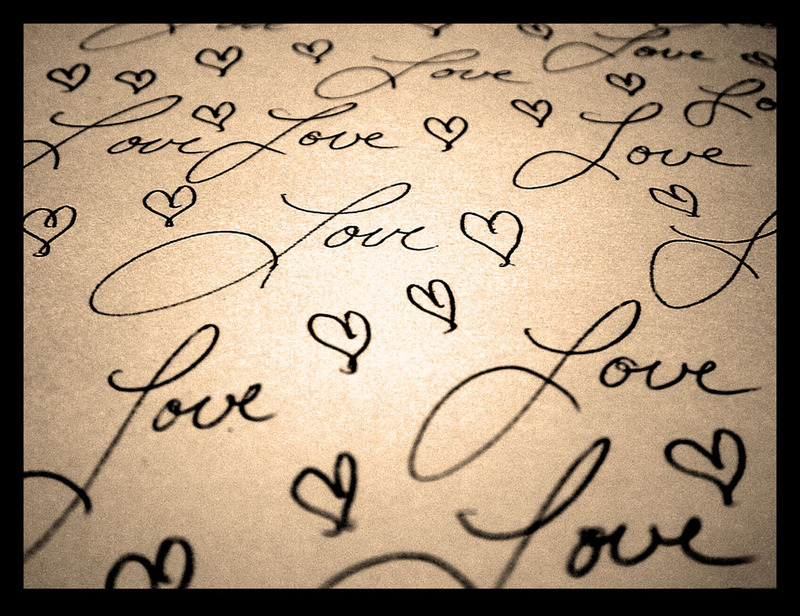 Love is something you feel, not a term that is only to be defined by other mere terms. If love is truly shared between two people, it will surely result in a good marriage. Considering that every couple has a unique situation,there may be times when some of the ingredients are there, and some are missing. Love may be obvious while communications is absent. Or trust may be prominent and love is dissolving. If couples are unafraid to examine the truth in their relationships, they can figure out whether communication, trust, or any areas of love are out of sync. Once they find out the problem, they can begin working on the solution. The effort of trying is the first of many steps to a good, lasting marriage. I am so appreciative of my valentine today and everyday. My best friend, my rock, my husband. Thank you for enduring, motivating, loving, caring, and allowing me to do the same! 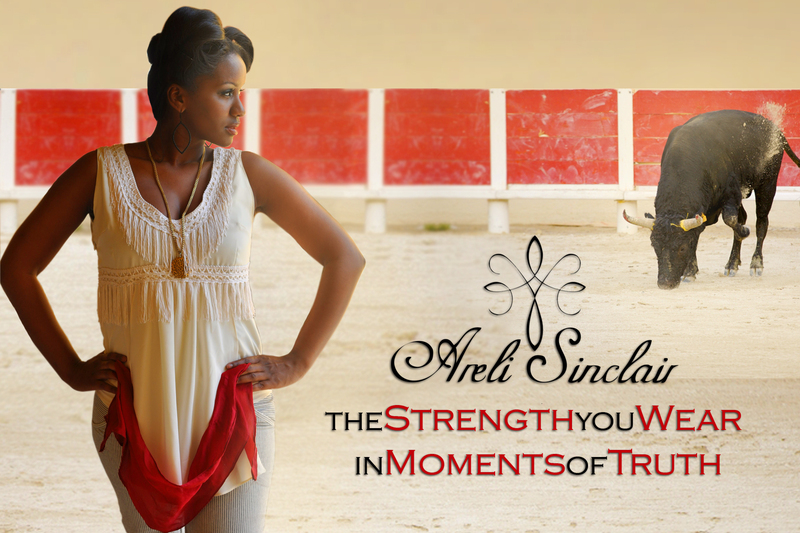 Other than finishing up school, I have a new Areli Sinclair Spring collection called Moments of Truth. All about the matador inside of all women. With this collection, it was very important to me to tap into what women go through every day. Even the women who look the toughest aren’t always feeling so confident on the inside. Especially when we have important things going on. Each day of a women’s life can be life changing. The deciding factor of whether it is or not has a lot to do with how we feel about ourselves. How we feel we are perceived. I know that when I have an important day ahead of me that I might be feeling a bit anxious about, it makes me feel so much better when I have the perfect outfit picked out, hanging up and ready to go. I put my shoes and any accessories next to it that I have tried on and switched around 10 times. Having my image settled ahead of time lifts my spirit. It gives me the extra boost of confidence and motivation to tackle whatever it is I might be facing that day. With this collection, I made pieces that will easily do just that. I wanted to make clothes that I know I would appreciate myself. Things that can go from day to night.. from work to a date. Clothes that have special details. Elements that let you know there was thought and time put into it. Clothes that make you feel like everyone in the room can see your confidence and personality before you even say a word. I’ve leaked a few teaser photos on facebook. I did an awesome photo shoot with a great team! Photography was done by Rene Ferrer and Charles Howse. 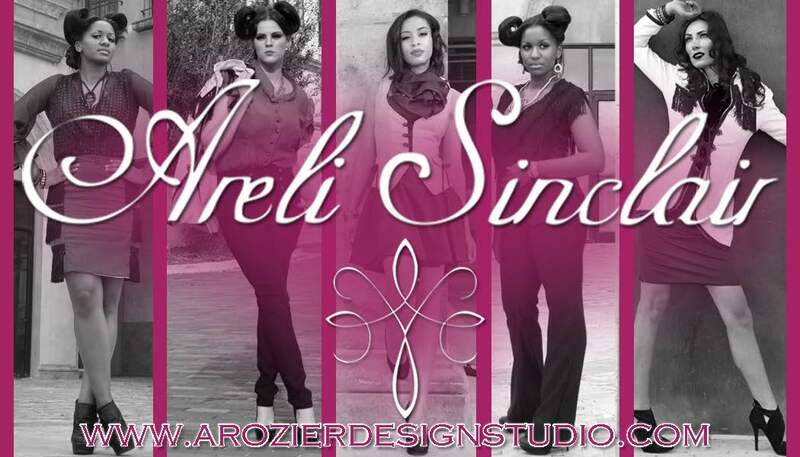 Models were Nadia Timol, Courtney Slayton, Tatiana Kuzmina and myself. I certainly was not planning on modeling at this shoot. I do enjoy it, but I just wanted to stay behind the camera for this one. It just so happened that 2 of the models had to leave early that day, which left yours truly to fill the position. I think it turned out great anyway! Hair and makeup was done by True U, LLC. With hair assistant Katrina Ellis. Another crazy thing happened that day that nearly gave me a heart attack.. We were shooting in a area that was basically an abandoned set of buildings. Two of the girls had to use the restroom. They found that one of the buildings doors were open. They came back out as there was no bathroom inside and went on to look for one. I was just excited about the fact that we found a place to change inside instead of ducking behind a hidden corner of the buildings. So I took some of the clothes in the building as I was preparing to change. I went back outside to grab my shoes. I came back to the door only to find it had bolted shut, with my clothes inside! Not just any clothes either.. one of my main pieces which I had spent hours hand embroidering. The only hope I had was to call the number of the realtor on the poster in the window and hope that they might call back the next day, as it was a Sunday afternoon. Devastated, I attempted to press on and figure out what we might wear next instead. But my enthusiasm was gone. I was so distraught over the thought of not getting to shoot that outfit after planning and prepping for the shoot for over a month. And then he appeared… a construction guy came to the door looking at us like we were crazy waving him down frantically, looking probably quite strange to him in our high fashion hair and makeup! He kindly opened the door for us. He stated that we were lucky considering that no one is ever in the building and that they just so happened to be there fixing something that day. After that relief, my spirits were again lifted and we continued shooting. It was a long day, but worth every bit of stress! The photos came out beautifully and I was so glad to have worked with such a great team! Four of the outfits from the collection are currently on display at the IADT campus! They will also be shown at Orlando Fashion week (along with a few other surprises) and at the Imagine fashion show! As far as how I’ve been doing emotionally.. things are good. I think of Areli every day. And there are certain triggers that really send me to particularly heavy moments. Like in a movie when a mother loses her child. Or when I inadvertently put my hand or arm on my waist a certain way. But there are also things that bring smiles. Like when something goes well, I remember that I have the most beautiful angel watching out for me. 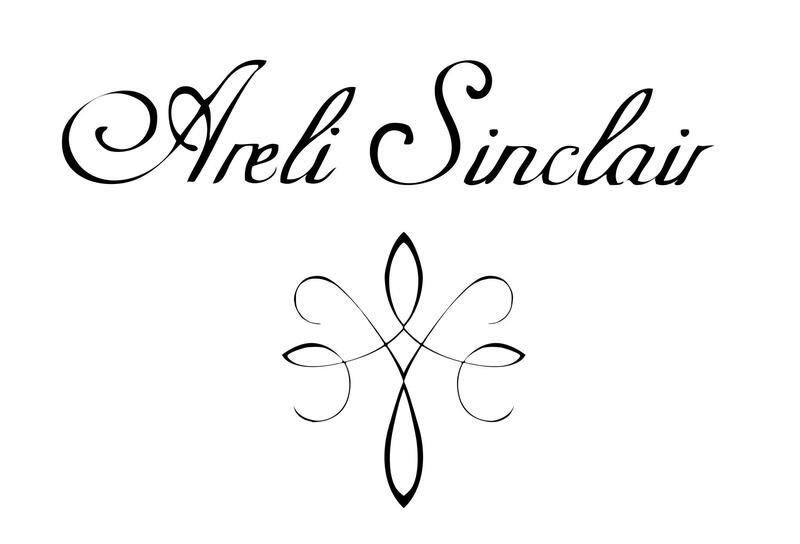 I got the logo done for the Areli Sinclair women’s line. The symbol is sort of an abstract angel. I actually drew it for an embroidery design on one of the jackets in the Moments of Truth collection. After looking at it for a while I noticed that it looked like an angel. I fell more in love with the design the more I looked at it and thought about what it meant to me. I also loved the fact that if you didn’t know the story, it just looks like a simple, elegant design. I also did new business cards and flyers- which I’m quite proud of! Photoshop has turned from an enemy to a great friend! Not much else has been happening.. we unfortunately didn’t go home for Thanksgiving, Christmas or New Years, since I had such a huge amount of schoolwork, among other things. My husband and I had our 6 year anniversary January 17th! I’m so happy to still be with my best friend. Through it all, he’s the only one who has been there for the best and the worst. I’m also getting ready to work on prom dresses for two beautiful young ladies! I’m very excited about it and can’t wait to get started! My husband and I back in 2004! Attempting to keep this update short turned out to be just that.. an attempt. But hey, it’s been a while and I left a lot out for time sake- which is also why I did a separate blog for my college thoughts. I will try my best to be updating more frequently now that I’m out of school and will be focusing more on my career. Keep up my friends, it’s all or nothing from here on in!!! I have been trying to get around to doing this update blog for over a month now. My last college term has had me so wrapped up since November. I can’t believe it’s over! Wwoooooo.. I can breathe! Stages of life are strange. I never feel like I’m growing up. I remember looking at people who were older than me and not being able to imagine myself at that age. But then becoming that age, I don’t feel like I thought I would. It’s complicated and hard to explain, but I think everyone can agree that you certainly can’t predict what life will throw at you. I honestly had no plans for college. I was intimidated. I thought that you had to be rich and extremely smart to attend a good school. Funny how someone else’s perception of something can be installed in you without your even realizing it. I am glad I went, but I don’t think college is for everyone. Most people are just working for a grade. They lose sight of why they are there.. or didn’t have good intentions in the first place.. and they get caught up in simply trying to pass. But then what? No one seems to think about what happens next. And the colleges, well mine at least, was only keen on preparing us for hourly, entry level positions with possibilities of working your way up. They never touched on how to start your own business. Yes, we had an entrepreneurship course. But if you didn’t go beyond what was required, you wouldn’t get a real grasp on what it means to run a business. In my last term, it was the general consensus among my classmates that the last couple classes held the information that they needed the whole time. Being that they had been thrown into the fire in the end left them feeling unprepared and like they could have done better given more time to mull over what the last term was going to be like. I must admit I feel the same. Being that the last term includes doing your final portfolio, which is what you will take with you after college as a canvas of your abilities, there is already pressure and importance attached to the term. Not doing your absolute best feels heart shattering.. especially when you’re out of time. They seemed to feel like the school had held out the good stuff until the end, and just dragged us on with filler classes in the middle. Having such an overflow of requirements thrown at you in the end, especially when proper, thought provoking information was not given in the middle, left most people feeling intimidated about what might come from the real world. There could be several people to blame here. Whether it’s the business side of the school who will bring in anyone who will sign a loan contract, the teachers who don’t care enough to be 100% real with the students, the teachers who don’t know that they’re not being 100% real or accurate (not saying this includes all teachers) or the students who don’t care enough to push themselves further than what is asked from them (this does not include all students). Keep in mind that I am not bashing anyone. I still vouch that I am happy with my personal end results, these are just improvement suggestions, advice, and forewarnings. Our economy is not in good shape. Corporations who pay minimum wage, source most of their supplies and manufacturing from other countries, and continually run out the small businesses will not put our economy back in good shape. Educating young, willing and able people to start new, small businesses will in fact do our economy the most good. Isn’t that what capitalism is supposed to be all about? But yet and still colleges continue to push the issue of molding us into some sort of ‘workbot’ to fill a slot that you will be in competition with 300 other trained graduates to get. I’m not campaigning against working. I understand the need for steady income. I’m saying that we should be aware of what we are paying tuition for, and to make sure that it gets put to the best possible use, while we are still able to do something we love. Personally, I know my tuition money was well spent. I tried to go above and beyond what was required, to get a full understanding of everything that was brought up and learn the ‘why’ and the ‘how’ behind everything, not just the ‘what’- as was taught. Getting the ‘why’ and ‘how’ allows you to test theories, and come up with new ones. That is the only way we will ever have true innovation and progression. I also was working on my business while I was in school. Putting theories to the test in the real world is one of the best ways to learn. Since I am being blatant about what is bad, I will also be blatant about what is good. I feel that I should mention a few names of awesome instructors who really went the extra mile for me as a student. Sharon Smith, for her honesty and great advice, Daphne Dalge for being the best at what she does, and her extra advice on sewing, Kate Saccone (who was let go because she didn’t have a masters degree- another issue I won’t get into) for her blatant honesty and all around good leadership, Matthew Mercer for being determined and teaching in a creative fashion, and Laura Cox, just for being a super cool teacher. There are others, but I won’t go into an extensive roll call..
College is a touchy subject. I suppose in the end, it comes down to the student. What you put in is what you will get out. Don’t fall into a trap. Keep your integrity, and remember why you’re there. And remember that you will be on your own once your done. Besides the hands digging in your pockets for loan repayment! So there you have my summed up honest advice as a recent graduate if you are thinking of going to school.